The battle over net neutrality rages on and it has far-reaching implications beyond the US. Anyone who knows or follows me knows I am a huge fan of net neutrality. I’m not saying it is the only way to protect the free and open internet, but 1) it is one of the easiest, 2) it’s all we have, and 3) simple generally leads to less loopholes. For what it is worth, this isn’t a political discussion and I don’t intend for it to be one. I’m only mentioning my thoughts because my stance on net neutrality flies in the face of what you might expect. Overall, I believe there is an overabundance of government in our lives and I am tired of the unnecessary “cruft” it brings. With all that said, net neutrality is one of the few instances where government intervention is absolutely necessary. ISPs have shown time and time again that they cannot behave nor act in the best interest of anyone other than themselves. Wired has a good discussion on some of their past comments or violations in their article here. 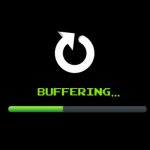 Even Verizon recently throttled Netflix with net neutrality rules in place. I’m guessing the FCC and their illustrious commissioner are not going to go after them for that little snafu?!?! Sure, Verizon stated they throttled all video, but come on? NetFlix accounts for roughly 30% of the internet traffic and your network was noticeably getting hammered after pressure to offer unlimited bandwidth to subscribers. Yeah, those two items probably have nothing to do with one another… And if you believe that, I have some ocean front property for sale in land-locked Kansas. Back in May 2017, I submitted the comment below to the FCC because I felt I had a unique scenario no one had addressed. Numerous folks had touched on the big ISPs and the power they might wield, but what about the smaller ISPs? Similarly, smaller ISP have a substantial amount of power in the areas they serve. 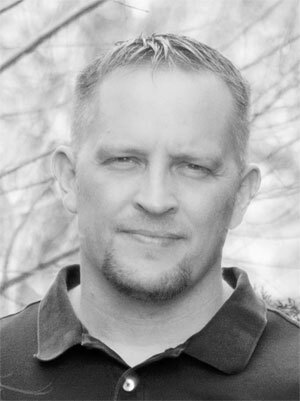 I founded and co-owned a small business who provided managed IT services. This business was in the heart of the US so to say many of our customers were rural and/or only had one ISP is an understatement. Our company used the internet for support, providing server-based services, etc. I bring this up because we heard rumors from former employees at one of the ISPs stating they would occasionally “mess” with us. That didn’t really come as a surprise because we monitored the holy heck out of our operation with Nagios so we would see some odd network behavior from time-to-time. Some shenanigans were expected as many of their support staff were less than willing to work with us when we were acting as an extension of our (and their) customers. In fact, I would argue it was the logical next step to get a bit of an upper-hand. What would have stopped them from doing more on both fronts and seriously crippling our business? In the service industry, if you can’t service your customer, they will go down the street to someone else who can. Were the rumors true? Unfortunately, we may never know. What I can say is that ISPs are constantly looking for ways to expand their footprint whether geographic or service-based. In fairness, that’s just business and I applaud competition on a level playing field because that is Capitalism 101. On the other side of the coin though, do I think an ISP intentionally damaging a company causing them angst would be above them? Not a chance! Even though they were handed their infrastructure (aka money printing business) on a silver platter (via the 6th round of last mile legislation <- don’t get me started on that), they would without a doubt use it to their advantage. And what’s stopping them? Abolishing net neutrality is a prime example of government picking the winners and losers. Without it, perhaps that ISP would have strong armed us into paying a “tax” to ensure customers could reach us? In my opinion, that’s only a business model if you’re the mafia! Right now, the FCC might as well be on the payroll for those big companies. I don’t know how this will shake out or who will win, but I can assure you it is not the consumers or the small businesses offering competition to those ISPs. Theoretically, anyone using the internet could eventually find themselves on the losing end if net neutrality goes away. So net neutrality isn’t just about big business and big ISPs. In our IT-based world, it’s arguably all businesses. On a side note, the good news is that the ISP in question didn’t do this at scale where it affected us or our service long-term. The end result was that we mostly killed off their IT service aspirations because we provided “better service at a better price.” That’s competition and that’s what net neutrality brings to the table. If you live in the US, please do your part by going to the site below. The Battle For The Net website walks you through the process of contacting your congressman. If you provide a phone number (which I would recommend), it will also go through the process of calling your congressman one-by-one which is extremely handy. All said and done, I don’t know if the whole process took me more than 5 minutes! The submission below is as you will find it on the FCC website. The italicized portion was added by the company whose form I used. Thus, the un-italicized verbiage was my actual submission. The FCC should safeguard Internet freedom by keeping the bright-line net neutrality protections in place and upholding Title II. The FCC should reject Chairman Ajit Pai’s proposal to hand the telecom giants like Verizon, AT&T, and Comcast free rein to engage in data discrimination, stripping users of the vital access and privacy safeguards we fought for and won just two years ago. 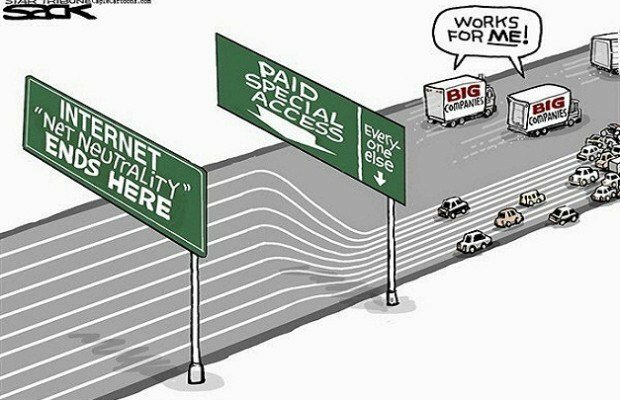 I’m afraid of a “pay-to-play” Internet where ISPs can charge more for certain websites because Users will have fewer options and a less diverse Internet. Thankfully, the current Open Internet rules mean that ISPs can’t slow or block our ability to see certain websites or engage in data discrimination by charging online services and websites more money to reach people faster. That’s the right kind of forward-looking approach to make sure competition in the Internet space is fair and benefits small businesses and consumers as well as larger players. Chairman Pai’s proposed repeal of the rules would transform ISPs into gatekeepers with an effective veto right on expression and innovation. That’s not the kind of Internet we want to pass on to future generations of technology users. I’ve grown up with the internet for most of my adult life. I also built a successful managed service provider that competed directly with a regional ISP with aspirations in the same space. What would stop them from preventing their customers from visiting my previous company’s website for viewing or support and/or even sending us email? Now consider this scenario on a larger scale. AT&T has already shown the standard going forward where purchasing/developing content is king. What’s to stop them from artificially slowing down their competition — NetFlix, YouTube, etc? What about the next up and comer who doesn’t have the deep pockets of those previously mentioned companies? Early on yet in another space, there were numerous disputes with ISPs (who are often telcos) causing service issues for other VoIP providers such as Vonage. This is what we can expect from the fast lane changes. I am certain many of the companies who exist today because of a free and open internet will get crushed by ISPs with similar business ventures. This will also inadvertently increase the barrier to entry to a point IT-focused entrepreneurs can’t build “something from nothing” as it will instead require significant capital just to get started. Thank you for keeping Title II net neutrality rules in place to protect Internet users like me.